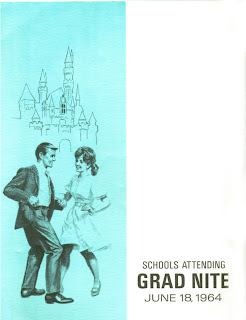 I love the artwork on the 1960s Grad Nite programs and Date Nite brochures. They always seem to capture the romance of Disneyland at night. 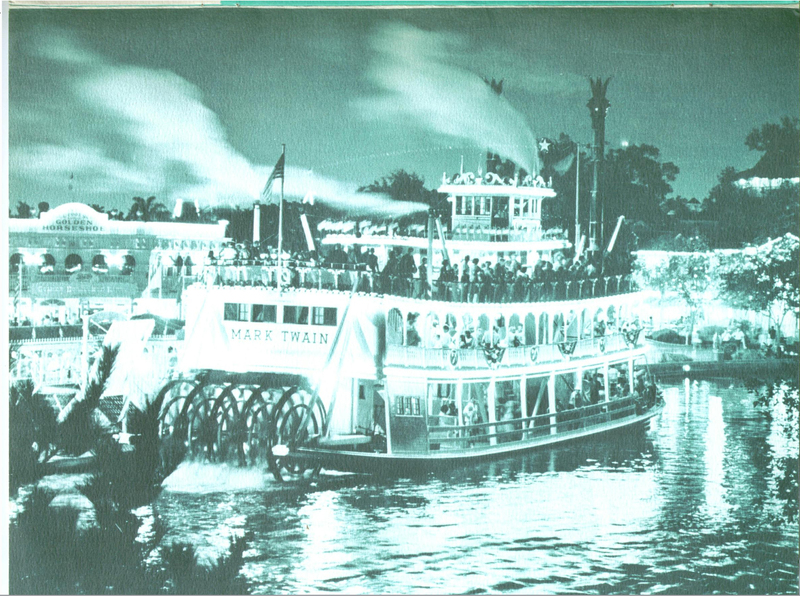 Nice pic of the luminescent Mark Twain! Welcome back, Tim! 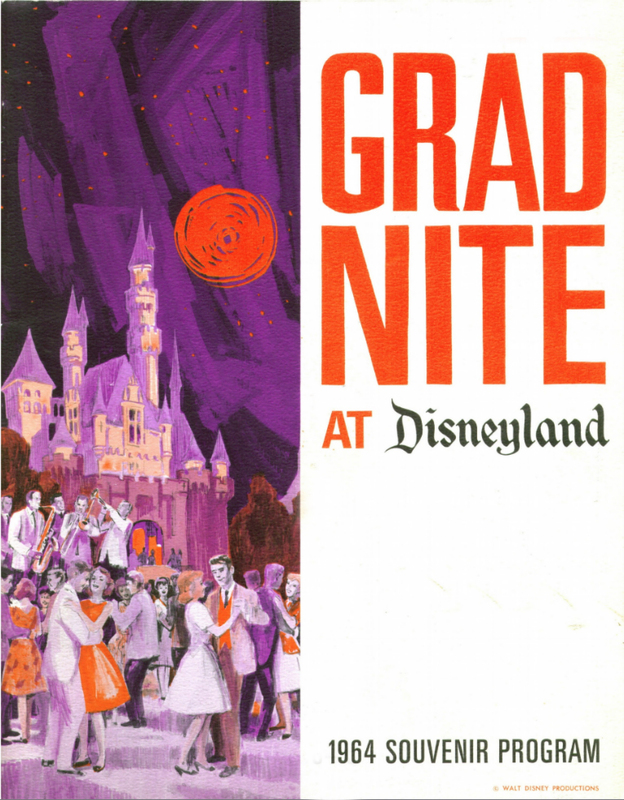 I love seeing these vintage graphics for Grad Nite. Hope the dog didn't get sick on your homework. Glad to have you back in action, Tim! IT LIVES!! 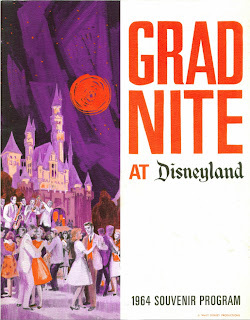 I love these Grad Nite booklets, such a great bit of ephemera from the mid-1960's. I have 3 or 4 different years, but still want at least one more for my own collection. 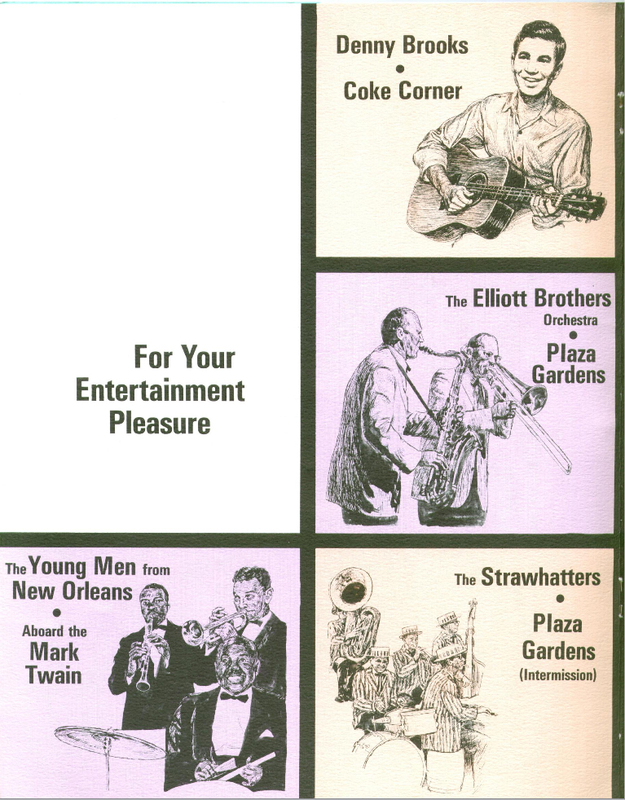 All these booklets, ads, park guides and Disney News were all produced in-house in Creative Services. 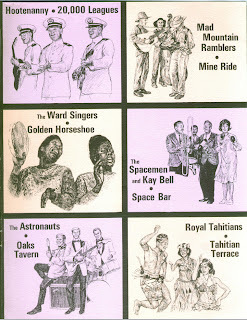 I remember in the 80s Paul Brewer who married Betty Taylor AKA Sue Foot at the Golden Horseshoe, ran the department. It was a neat time. Very cool. 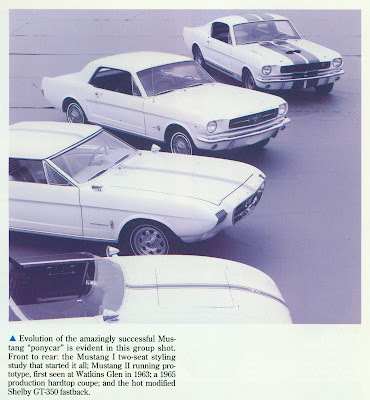 Check out this picture of the Mustang from 1964 or 1965. Anyone know which year? 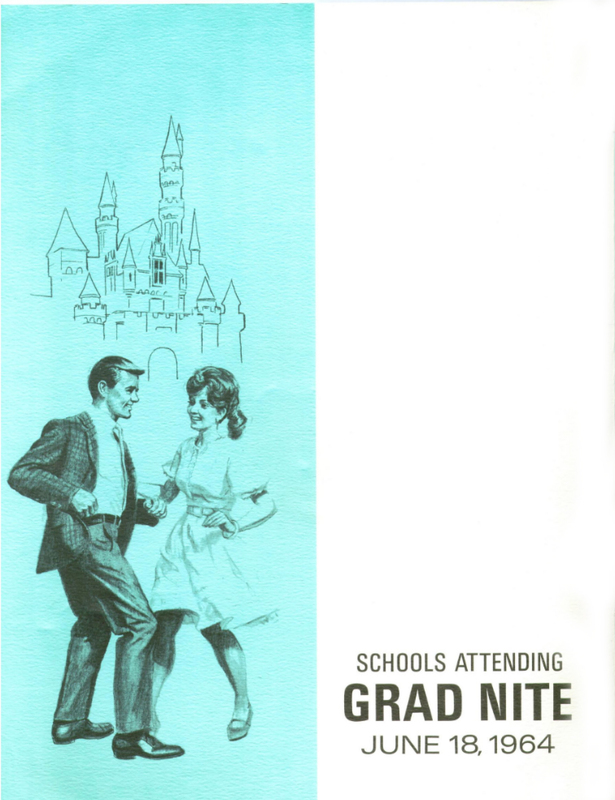 I'll have to dig out my Grad night program from 25 years later, 1989 and send it in. 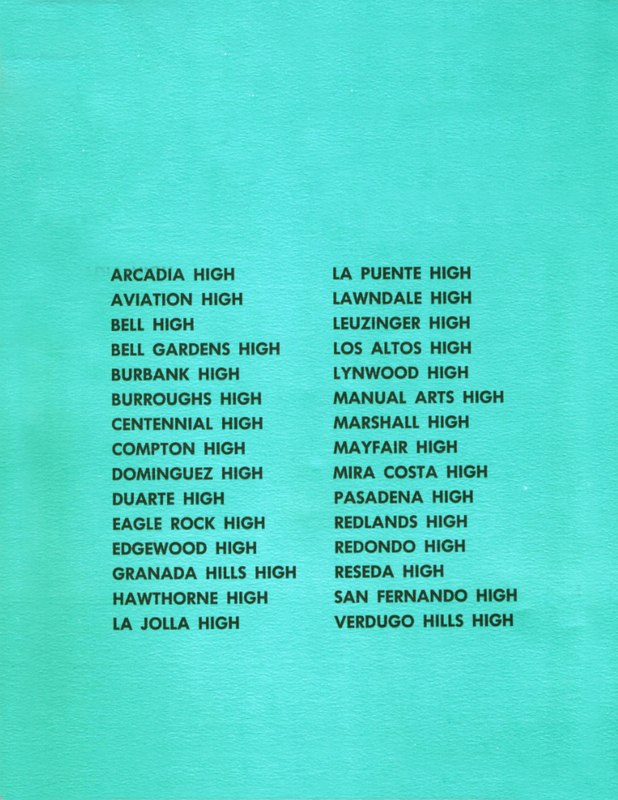 From: Mike Izzo, Former Automotive Instructor, Granada Hills High School, 1990 to 2004. Around 1997 I received a phone call from a person wanting to donate a car to the Automotive Program. 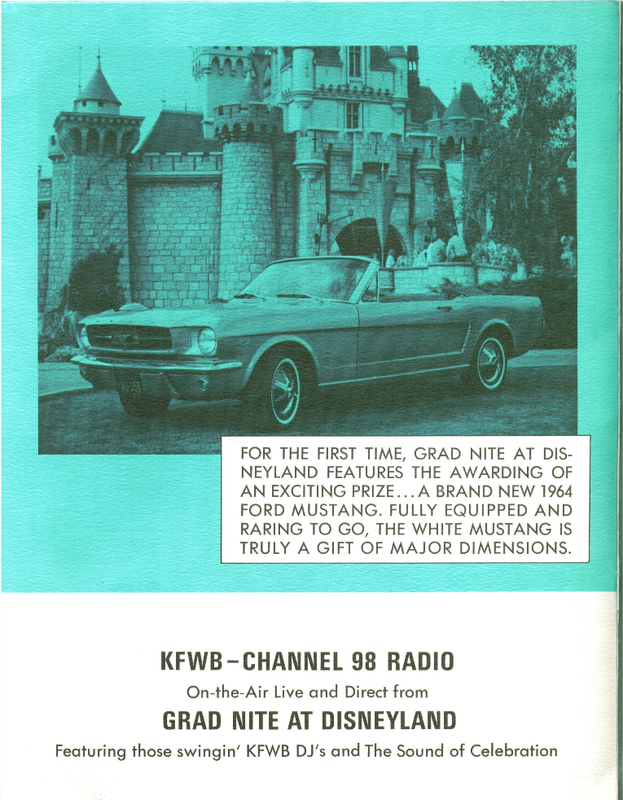 The caller said he had a 1965 Mustang and wanted to have us finish the restoration and then raffle the car off with proceeds shared equally between the Auto Shop and the Marching Band. Deeper into the conversation the history of this vehicle evolved. 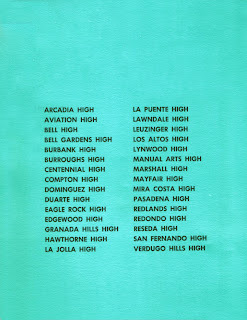 The man was a student at Granada Hills High School in 1965 and also a member of the Marching Band. While at the Disneyland Grad Night, he won this car. 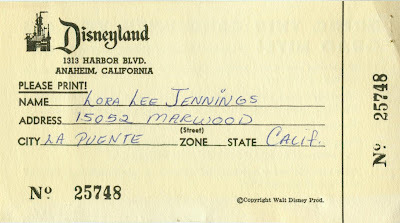 He and his family used it for many years handing it down to various children. He started to restore the car a few years back and was not in a position to finish the job. We finished the restoration and the car was raffled off at Homecoming Night in, I believe, 1998. I never saw the car again after that point. I left all the data regarding this project at the school when I moved to another school in 2004. As such, I don't remember the donor's name, who won the car, or the exact figures of how much profit was shared by the Shop and the Band. I have a few pictures of the car and I'll see if I can get them posted for you. Thanks. Thanks, Michael! 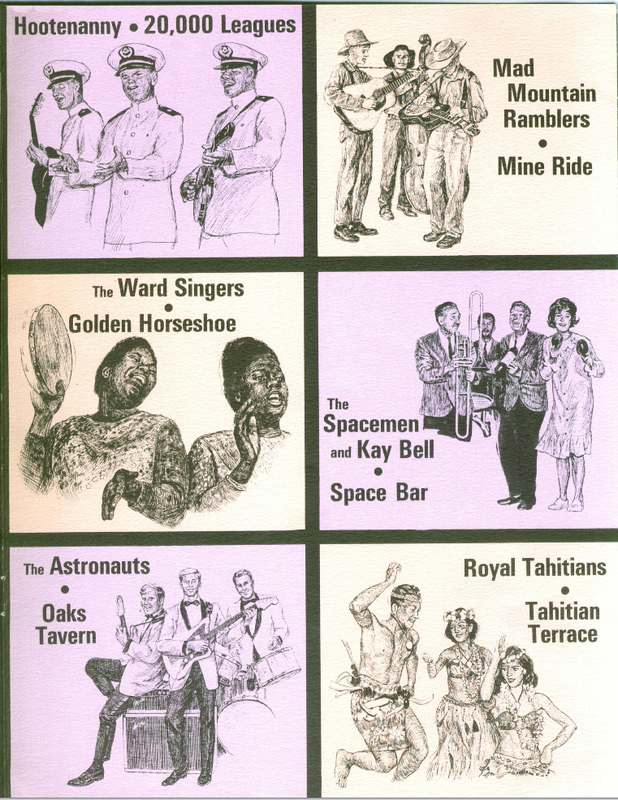 Please let us know if you dig up any information... very cool! 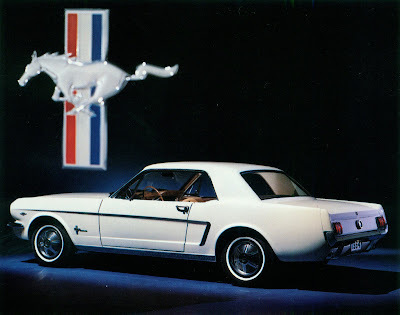 I found 3 photos of the Mustang. They're not choice shots because the better views were all left at the G.H.H.S. Auto Shop when I moved on. 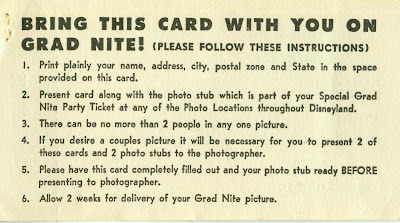 Who can I email these to in order to get them posted? Thanks. That's awesome, Michael. I see this particular Blog (not mine) has not been updated since 2013. There is a contact email in the profile. My Blog is here http://blog.virginiaclassicmustang.com/2015/07/mustang-give-away-at-disneyland-grad.html . It would be great if you could send them to me. If you send me an email through this form http://www.virginiaclassicmustang.com/ContactUs.aspx, I will reply with an email to send them too. Thanks again!! Looking forward to seeing the pictures. 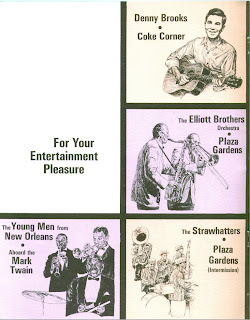 I remember Denny Brooks coming back after he had graduated ... to play folk songs on his guitar in my classroom at St. Anthony High School, Long Beach, in the 60s !